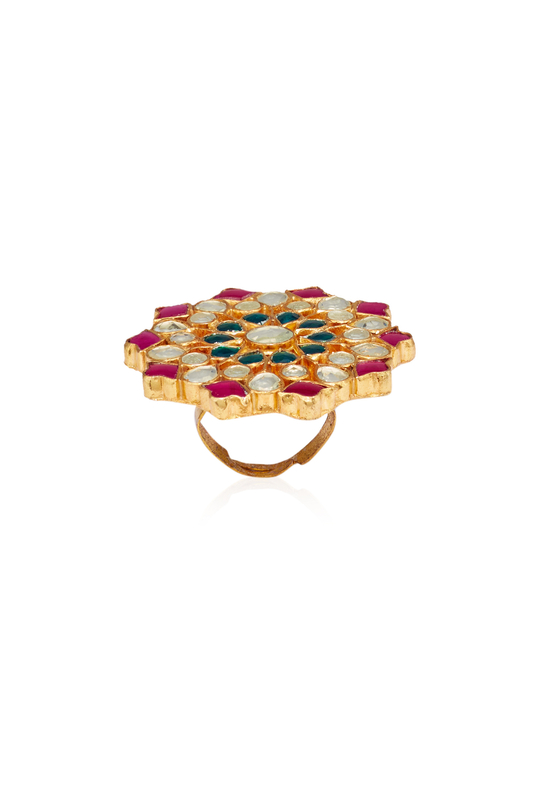 Pink and green kundan jadau ring designed by Maisara at AASHNI+CO. 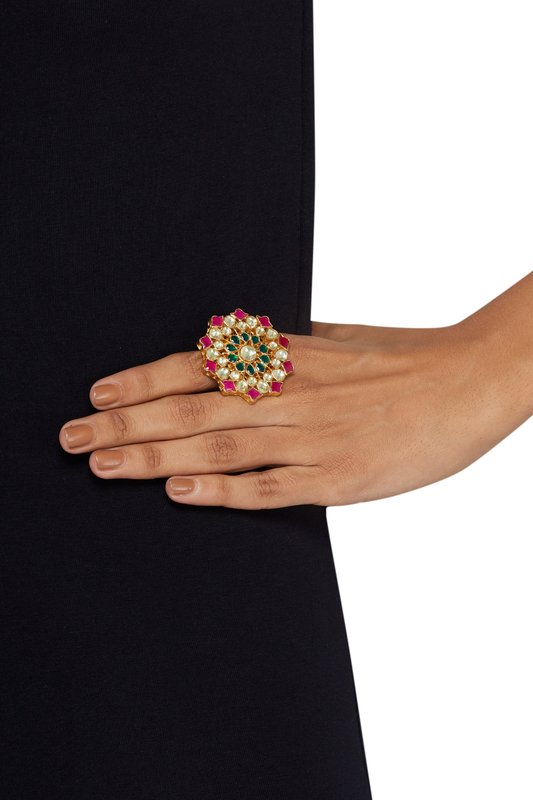 Maisara designs a statement piece of ring to accentuate your fingers customizing it with pink and green kundan jadau in a floral pattern. Wear it with your sari for a note-worthy look.